Here I am with a Camille Claudel sculpture at the Met. My son James and I have collaborated on a number of films. I've been in the role of screenwriter, and I've learned so much from him. My son Tom illustrated my novels, Metamorphosis, Junior Year and Naked. We're at his Firehouse Art Collective gallery. My son Davy is always there for me if I need help with my screenplays. He read the audiobook of Metamorphosis with James. I wrote this 3-year journal for kids. I also wrote a 3-year journal for teens, Q & A for me. Midnight Hide & Seek is a beautiful Math app for kids, illustrated by Tom Franco. Metamorphosis Junior Year, an Elysium Bandini film based on my novel, was at the Mill Valley Film Festival October 2017. Named one of top 11 must-see films in the San Jose Mercury News! For the trailer of the film based on my novel, Metamorphosis, Junior Year, click here. My site is more like a collage than most, because that's the way my mind works and because my career has been unconventional, unpredictable, and exciting. I'm the author of over eighty published titles. My books include fiction, YA, picture books, and poetry collections. So far, I've written a screenplay for each of my novels. I'm very happy to say that both NAKED and THE ART OF LOVE have been optioned for films. I was screenwriting mentor for the film METAMORPHOSIS, JUNIOR YEAR, based on my novel and my script from the sold-out play. For the film, I was lthrilled to collaborate with my sons James and Tom Franco and a team of gifted young filmmakers. The film was shown at a number of venues, including the San Jose Cinequest and Mill Valley film festivals and was chosen as one of the top ten films by the San Jose Mercury News for both festivals. My books have received starred reviews from Publishers Weekly and School Library Journal and have been reviewed in the New York Times. One of my books appeared on the ALA Top 100 Banned/Challenged Books list. I am very lucky to be able to collaborate with my sons. I worked with my son James Franco on several film projects. I also acted in James' film Broken Tower and played his mother on General Hospital. My son Tom Franco illustrated my novels and co-produced films with me. I can always rely on my son Dave Franco to help me with my screenplays, and he and James read the audiobook for Metamorphosis, Junior Year. I am constantly inspired by the fearless creativity of my sons. 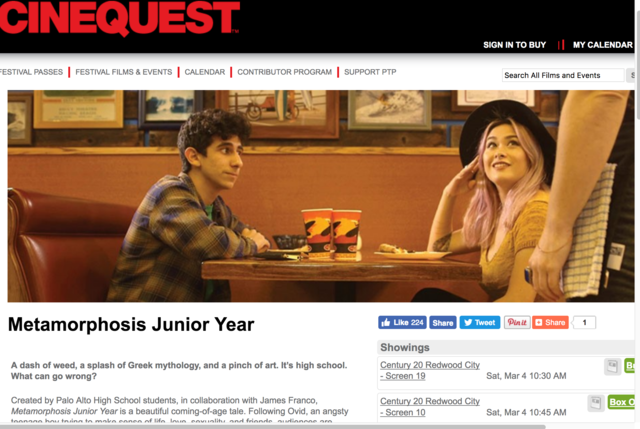 The film METAMORPHOSIS, JUNIOR YEAR, based on my novel, was shown at the San Jose Cinequest Film Festival in June 2017! I worked with my sons James and Tom, producer Iris Torres, cinematographer Christina Voros, and a team of ultra talented film students and actors. High school artist, Ovid, is the main character in Metamorphosis, Junior Year. Ovid admires Mei for being so strong and rebellious, like his runaway sister, Thena, whom he desperately misses. 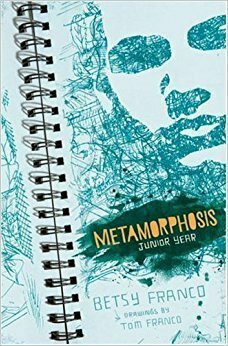 My first YA novel, METAMORPHOSIS, JUNIOR YEAR, was published by Candlewick Press. My sculptor son Tom is the illustrator, and my actor sons, James and Dave, read the audio version! My artist son Tom Franco started painting early. Now he is the illustrator of my novels and his art is on the cover of NAKED. I'm thrilled to tell you that my novel NAKED, which takes place in Stanford's Rodin Sculpture Garden and brings sculptor Camille Claudel back to life, was published by Tyrus Books. This is my first novel for an adult audience. My son Tom Franco created the image for the cover and interior drawings of sculptures by Rodin and Camille Claudel. Drawing copyright Tom Franco 2013. "The Time Traveler's Wife meets Midnight in Paris"
"a seamless blend of fiction, biography, and contemporary culture"
Betsy Franco's book NAKED has recently been optioned by producer Todd Traina of Traina Productions/Red Rover Films with an eye towards shooting the film version locally. Todd Traina recently produced "Morning" with Jeanne Tripplehorn and Laura Linney; "Another Happy Day" with Ezra Miller, Ellen Barkin, Kate Bosworth, Ellen Burstyn; and "Ten Thousand Saints" with Ethan Hawke, Emile Hirsch and Haylee Steinfeld, which premiered at the Sundance Film Festival. The Women in the Arts event, to honor Camille Claudel, the protagonist of NAKED, was electric, and I'm pleased that so many people attended. People are still telling me about spring-offs and collaborations as a result of the evening. Check out my Camille Claudel Facebook page at http://on.fb.me/1TVAacq. I directed my acting-on-film students in a short film I wrote, Old School Confessions, Then & Now. It screened at a wonderful event honoring Tobias Wolff. My film was based on his novel, Old School. Photo from Old School Confessions: Then & Now. The film includes real confessions from contemporary high school students. 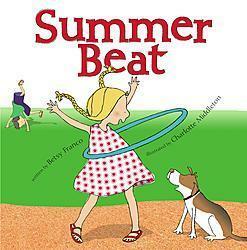 My third book with the marvelous illustrator Michael Wertz! "A dazzling compilation of concrete poetry that highlights marine life, this book lives up to its title." Zero is...the kites in the sky once the wind stops blowing. 0 kites. A Lee Bennett Hopkins Poetry Award Winner! The book was inspired by my cat muses, Frida and Jada. 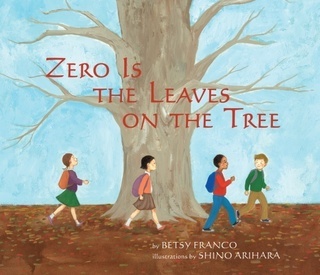 "To my mind, Franco really has a keen sense of how to make a poem interesting and like nothing you’ve ever encountered in a children’s poetry book before." Dog-lover alert: A Dazzling Display of Dogs is out. Starred review in School Library Journal: "This follow-up to A Curious Collection of Cats (Tricycle, 2009) is dazzling indeed. Each of the 34 poems features a different animal, most of them engaged in true dog behavior. Overall, a delight for kids, their adults, and maybe even their beloved canine companions"
This book is fun to read aloud because it's school poems for two voices. Are you looking for a 1 to 2 minute monologue, or do you know someone who is? I wrote the monologues, James filmed them for an art installation, and Tom designed the cover. Teens in high school and college have already landed parts using the pieces! Perfect for a holiday gift! Click this link to see the trailer, photos of James filming the monologues, and purchasing info for "21 Monologues for Teen Actors" at www.21monologues.com. I had a peak experience when Judge Luckey, The Teen Arts Council, and The Palo Alto Children's Theater staged my play of my novel, Metamorphosis, Junior Year. I used feedback from the teens who workshopped scenes from the play. The set included animated visuals of my son Tom's drawings. As an added bonus, my son James produced a documentary of the making of the play. I love teens, and the whole experience was very dynamic and collaborative. James even mentioned the novel on Jay Leno--they got some good laughs out of it. I was lucky enough to write two other plays and produce and direct two short films as artist in residence at the Children's Theatre. What an experience to stage the play of my novel, "Metamorphosis, Junior Year." Click here to read about it. My short with Vin Misra, FACEOFF: TYRANNY VS RESISTANCE, was in the Palo Alto International Film Festival. It consisted of monologues written and performed by Gunn students. The novel In the Time of the Butterflies inspired the monologues. The Teen Arts Council produced three successful staged readings of my new play, "Irrepressible," at the Palo Alto Children's Theatre. "Breakfast Club meets A Chorus Line" is how I describe it. See poster and description at link above. Censored and other one acts was a hoot to write. Directorial debut of Leah Bleich. I had a great time acting in one of the one-acts, too. My son Tom and I are going to host more open mics for teens. I'll keep you posted. We had a wonderful event and open mic at Hicklebee's Books. I dove into comedy for a while-writing and acting in SNL-type sketches with a comedy troupe, Suburban Squirrel, which was an offshoot from my Stanford drama class. My son James even mentioned us on Letterman--twice! We gave two performances, one on stage and the sequel on film. And...Judd Apatow's crew came over to film a comic video I wrote. It was so much fun, I'm moving to LA to become an actor...just kidding. But, honestly, it did get me a Hollywood audtion, which James also mentioned on Letterman. Some people have asked about that: I didn't get the part but had an amazing time doing it. I was the crazy mother in James' film Broken Tower, and I played his crazy mother on General Hospital. I took Acting on Film with Marty Pistone at Stanford, Acting on Stage with Kay Kostopoulos, and Improv with Melanie Chartoff. All my classes help me with my acting and writing. I ended up teaching Acting on Film at the Palo Alto Children's Theatre.